Sell more of the items that are making you more profit, by making them stand out on your menu. Are those table tents convincing your customers to try your LTOs? See what happens when you bring your menu to life with video. 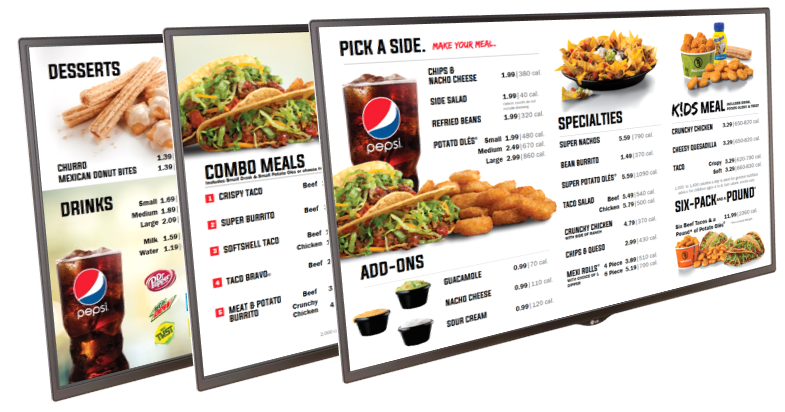 With Digital Menu Boards, you no longer have to decide which daily special is the most important. Your customers are hungry. Remind them that they definitely have room for something extra. This will help you determine the best prices that will add value to your customers and your business. Our LG Digital Menu Board technology, powered through PING HD, has been put through rigorous testing in our quality control lab, as well as field-tested on-location. All Digital Menu Boards are set up, configured, and staged, before installation. We’d venture to guess there’s no scenario in the trenches that we haven’t tested our systems to overcome, all to ensure you’re installing the highest quality, most innovative technology in the industry today. With the time it takes to print, ship and install new static menus, efficiently taking advantage of these opportunities is difficult, if not impossible. 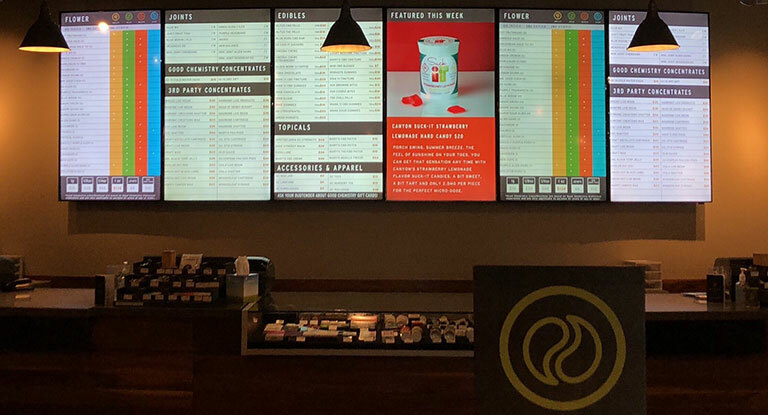 Installing QuikServe’s PING HD Digital Menu Boards gives you the flexibility to immediately make changes from any internet connected device. Using insights that can be generated from our suite of business intelligence solutions, you’ll have the information at your fingertips to make menu board adjustments that will drive revenue growth, keep food costs lower, and eliminate the traditional costs (i.e., time and money) involved in changing static boards.